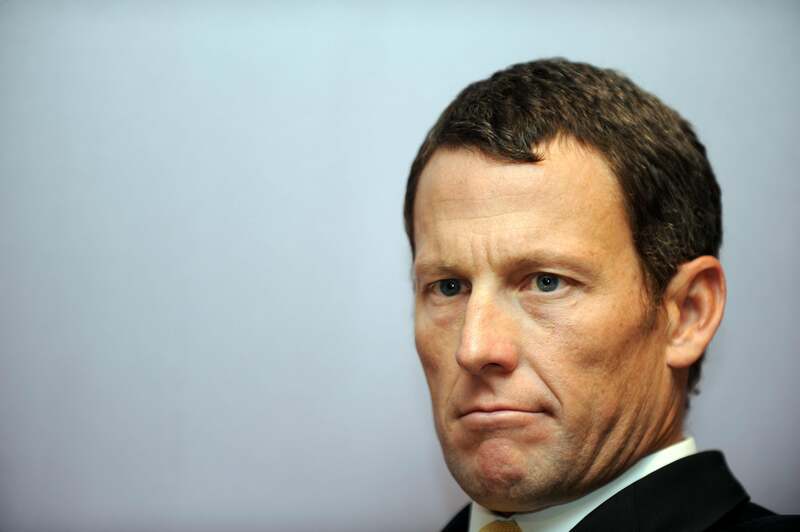 Lance Armstrong charged for lying about hitting cars driving home in Aspen. Lance Armstrong—the cyclist formerly thought not to be a liar—has proven once again to have a tenuous relationship with the truth. The former seven-time Tour de France champion—now stripped of his wins for doping—was cited by police in Aspen, Colorado, for hitting two parked cars while driving home from a recent event, and then having his longtime girlfriend, Anna Hansen, take the rap for it. Hansen initially told police she had been driving home from an Aspen Art Museum party when she lost control of Armstrong’s GMC Yukon on the icy roads, hitting the cars. She said she drove because ”Lance had a little bit to drink,” according to the reports. A man who had been renting one of the damaged cars told a police detective that Hansen came running up to his house in high heels, apologizing and promising to pay for the repairs. ”She said, ‘I’m Anna, we’re the Armstrongs, my husband’s Lance, he was just driving maybe too fast around the corner or something,’ ” the man told police, according to the reports. He called 911 to report a hit-and-run. Hansen and Armstrong left the scene before police arrived. Detectives later interviewed Hansen, who eventually told them Armstrong was driving, but they had both decided to let her take the blame. Aspen police cited Armstrong with speeding and failing to report the accident. Hansen was not charged. It’s unclear if Armstrong admitted to the crime to local police, but, generally speaking, Armstrong only feels comfortable telling the truth(ish) to Oprah.